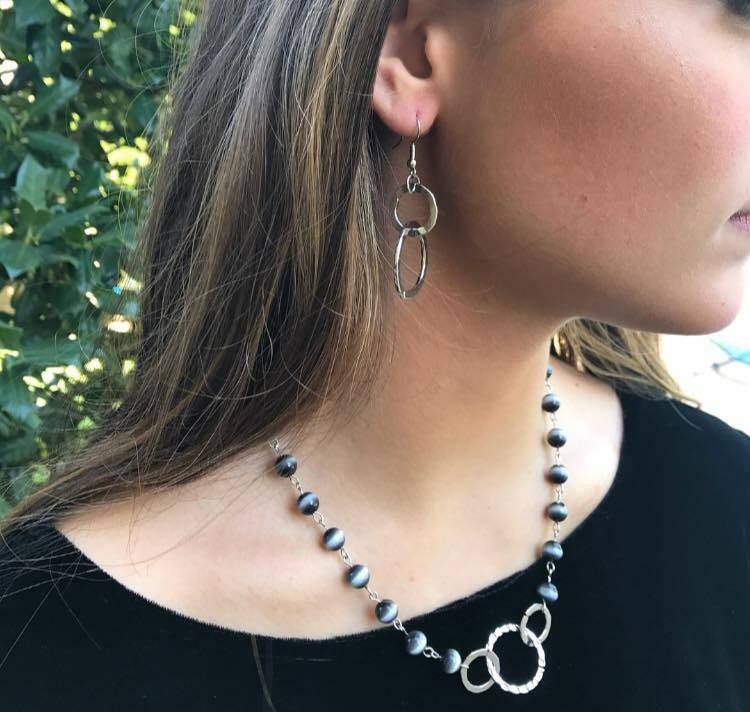 Every closet needs black jewelry and this necklace featuring hand looped black cats eye beads with hammered silver hoops is so unique and elegant. 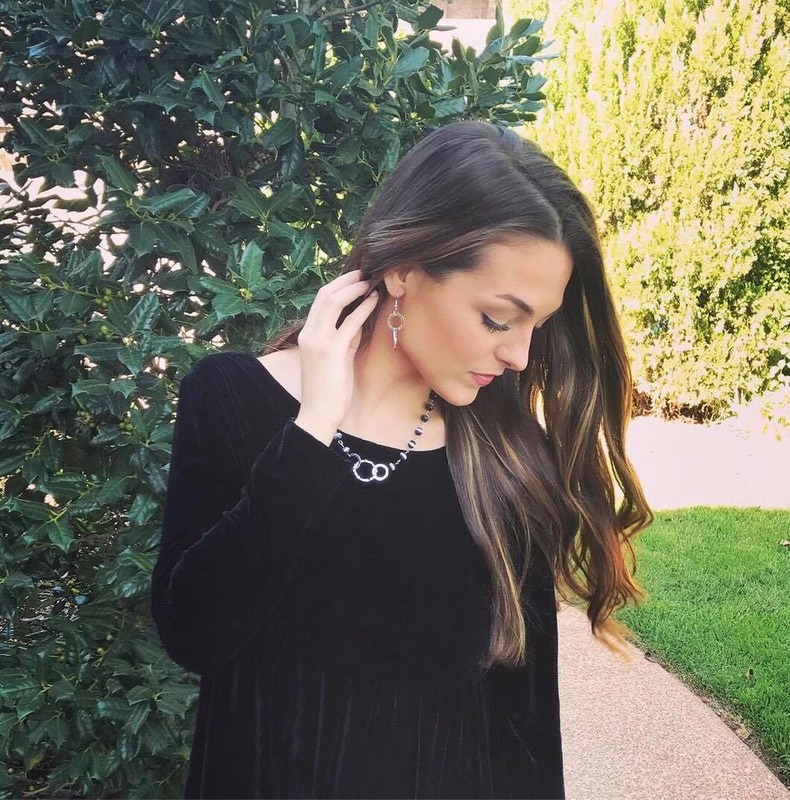 It wears beautifully with your black dress (as shown in the photos), at the office or wear it casually to really stand out! Cats eye beads are designed to have a center line of lighter color but these particular beads have a prominent white line making them really stand out as light reflects on them. This style of making these beads is no longer being produced so grab this one while you can!